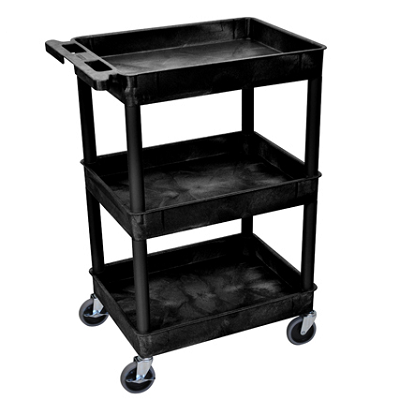 You can design your own utility cart based on your particular requirements. 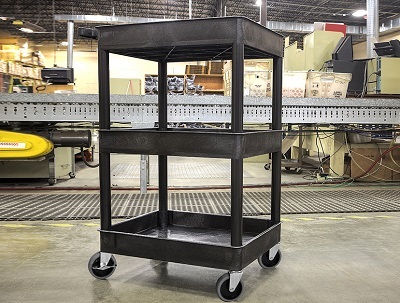 Ordering your custom cart is easy, Just follow the steps below selecting your specific choices. The base price is just $149.99 , extra charge for upgrades and optional accessories. Polyolethene shelves and legs will not stain, scratch, dent or rust. 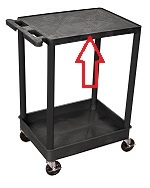 Looking for more colors or something nicer? 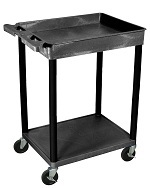 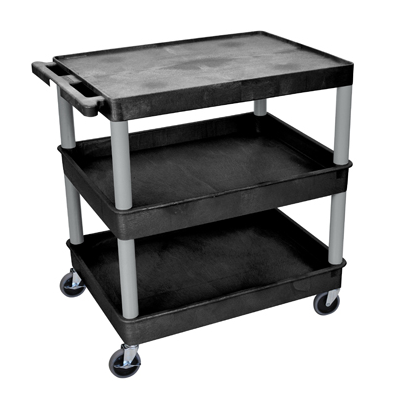 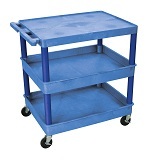 Check out our Design Your own Service Cart available in 12 colors! 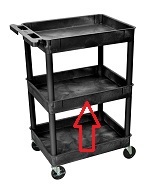 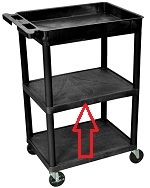 Please choose appropriate shelf size to correspond to the size of cart you have chosen above. Deep Shelf for 18" x 24"
Flat Shelf for 18" x 24"
Deep Shelf for 24" x 32"
Flat Shelf for 24" x 32"
Built-in 3 outlet electric assembly with 15 ft cord and cord wrap handle.